As promised, here is a list of some KDE ideas that the people left in my previous post, along as mine. They’re available for free, so feel free to pick one and make it yours 😉 As a side note, I’m making a KDE Prediction for 2010: KDM will receive lots of love! You can see that the stars are aligning. In fact I’m going to split this post into 2 ideas scenarios to reflect that. This is all about animations, user interaction and eye candy. See this for example. This is about consistence and configurability. 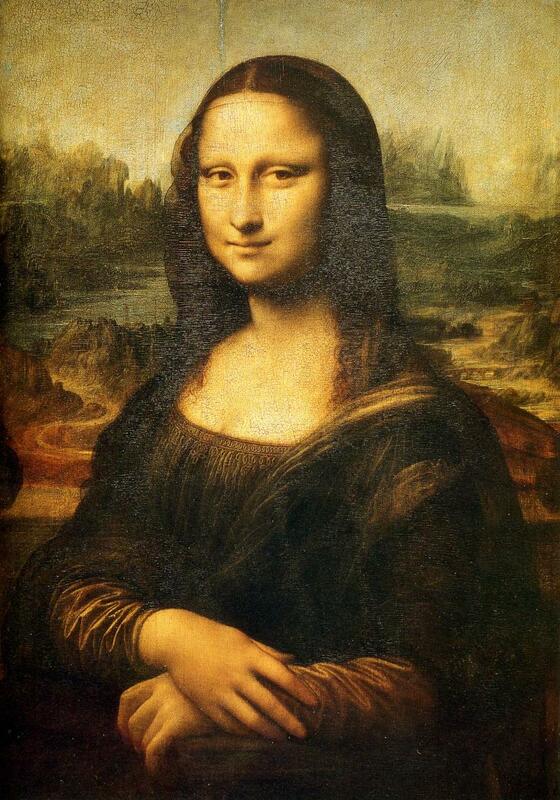 Show your face (or Mona Lisa‘s one) and you’re in! No password typing needed. Integrating with the pam-face-authentication may be the smart way to go. Webcam’s are being utilized a lot lately: they’re cheap, widespread, and they’re working good under Linux. Projects come out with webcam support, like Fotowall, Kamoso, Kopete and there are efforts to get it working in Phonon. Note that a camera is a source of video, images but also can be used for authentication and may even be used for user input – can you imagine manipulating stuff with your fingers? Note that webcams must usually be read in single instance, so the approach here might be 1 Qt-Only userspace daemon supporting multiple connections. Making systemsettings really the one and only configuration tool and provide backends to the distributions for adding/changing modules so KDE systems will have the same feeling for configuring the system. Some modules like ‘partition disk’, ‘edit boot menu’ and ‘manage startup programs’ (daemons) should be added and left to the distribution for implementation – I think they will. Note that current systemsettings lets you configure the joystick even if you don’t have one (!). And for windows I mean (actually J. Janz means) the whole non-interactive panel. Blank space as well as inactive labels should be draggable. From the user POV there is no window-deco + window contents. It’s a panel, let’s use it, move it, resize it, context-menu-it as a whole. I’m sorry I missed some interesting suggestions but I don’t have space here to detail them; just look to my previous blog entry’s comments to find more about BasKet note pads integration into Plasma, file browsing enhancements (context dependent actions, menus, warnings and kparts) qt4 gui for vi, etc. Directing users to provide their feedback in a low-dispersive, constructive, modern, layered (from generic directions to specific actions) and focused way is probably one of the challenges that should be added to Aaron’s list for 2010. There is already KDM support for pam-face-authentication, thanks to a GSoC project. And there is already a guy from Red Flag that has working and nice fingerprint support for KDM, probably just waiting for the 4.4 release. I would love to see this in trunk, though, not rotting away in some third-party repository. And we are getting webcam support in Phonon, thanks to Trevor Fischer, hard at work. And if you use Arch Linux, you get your “unified control center” more or less, thanks to Arxin, which integrates into SystemSettings (it is installed by default with Chakra). Unified Theme management sounds like an awful lot of work, but might be very neat. I should point out that going the route of KDE Brainstorm is preferred rather than filing wishlist items on BKO (approved and high-voted ideas end up on BKO, anyway). * innovation is there when grandma can use it, right? maybe the hardest part of face/finger authentication is to get it enterprise-ready and push it to trunk and make it easy to use those. this is still an open challenge then. * the webcam stuff is harder than it seems: you may want to use the webcam in 2 different apps (I do!, try fotowall and skype, or a flash plugin, for example) and if you look closely (see $QT/src/multimedia/video) you may find out that a Phonon only implementation may not be the rightest thing to do. * unified control center: just because Arch integrates, it doesn’t mean that we mandate or allow easy integration with systemsettings. many advocates that “do the frontend and leave the backend to the distro” may have great results in terms of integration. Enrico, I’m extremely interested in your “Raytraced UI” proposal. Would love to read more about that. Well, first of all, thank you for the mention (I feel flattered 😉 ) and, taking advantage of it, my whole point is exposed on that comment (maybe you, Enrico, could please link it to the mention on the post, once it’s here anyway), http://www.enricoros.com/blog/2009/12/gift-a-cool-idea/#comment-193 . See you. Making Arxin work on multiple distros and include it in kdeadmin or something would probably “solve” your “unified control center” thingy? Or maybe use Pardus’ tools instead (I think they have something similar). @collinm: That would be horrible from a security POV, since anyone looking at your screen would easily be able to see your “password”. Maybe Opencv is a good alternative for webcam support. Opencv offers a good image process and it’s easy to use in Qt, I have a little modification for system settings in “Password & User Account” section, this modification allow to use a webcam for take a picture and use in your profile. For webcam login i see a securty problem. What will it do if you hold a picture from someone in front of the webcam?